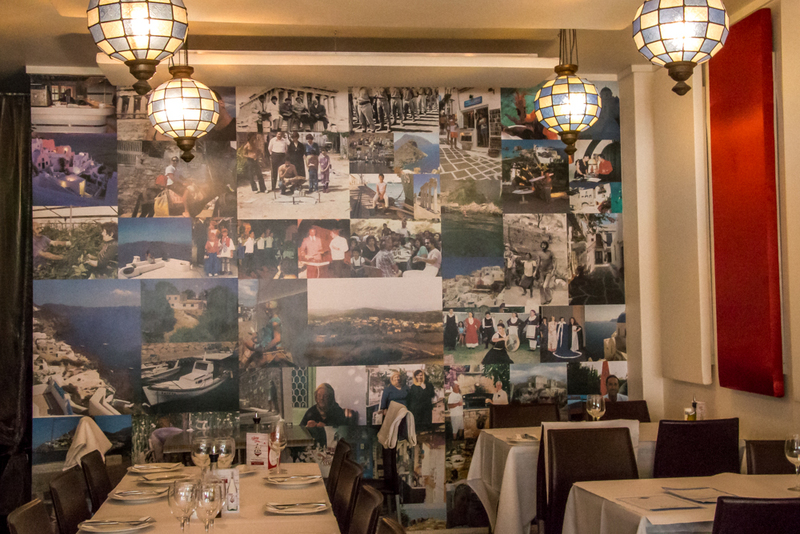 Estia Restaurant offers a traditonal Greek experience, from a meal for one to a family feast. If you didn’t realise Estia was a Greek restaurant from the outside there’s no mistaking it once you step inside. There is olive oil on every table and a not so subtle blue and white colour scheme in play. 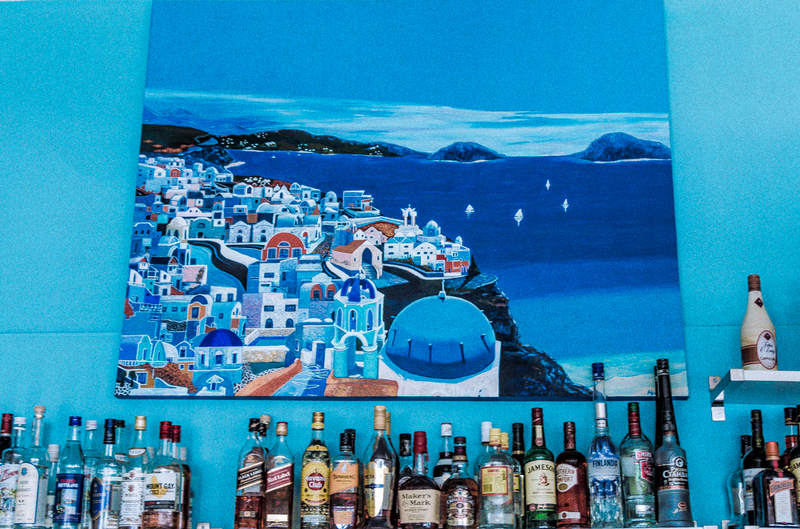 Opened in 2010, father and son team Vassi and Paul Loucaides have designed a traditionally Greek menu, that’s made by Greeks and owned by Greeks. 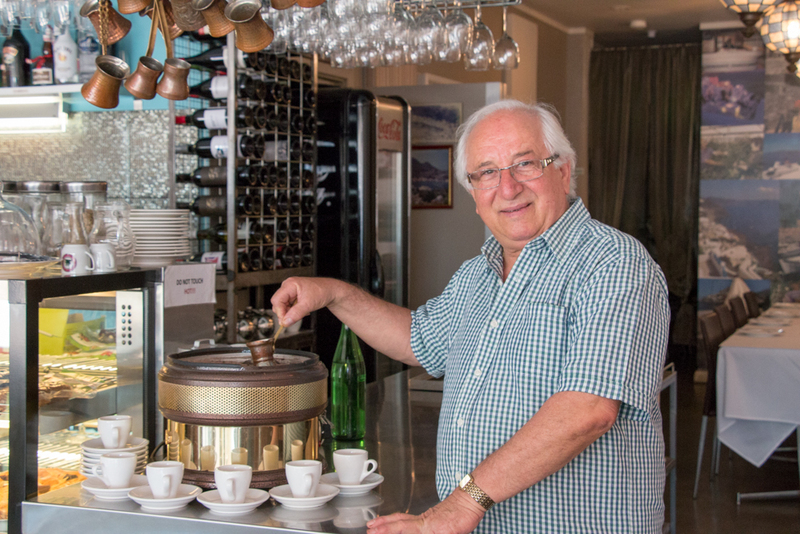 Vassi opened his first restaurant back in 1973, moving from business to business throughout the years, Estia is his latest venture. His previous businesses are documented at the back of the venue on a photographic mural. Family members, young and old are depicted showing the changes throughout the years. 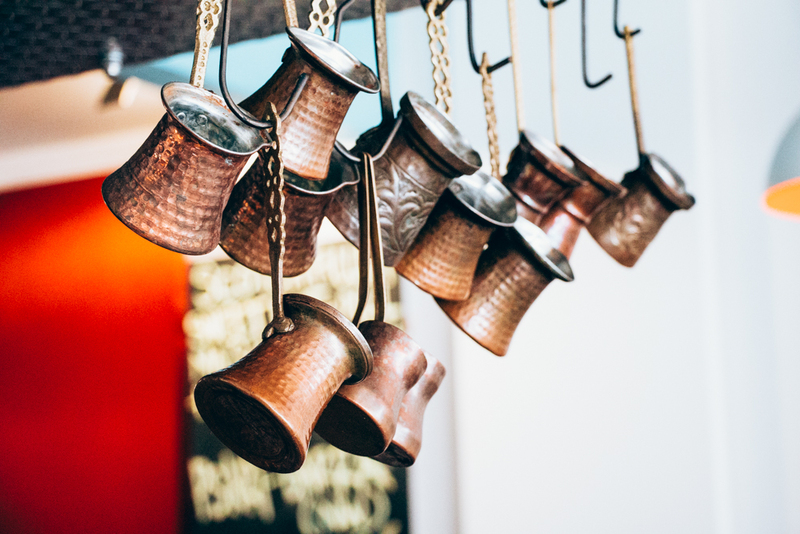 One of the most interesting items offered in the restaurant would have to be the traditional Greek coffee maker sitting on the corner of the bar. It’s in working condition paired with brikis to mix in the coffee, sugar and water. The meal portions are generous, with options to share, or dishes for those diners who still are happy to have their meal solo. Step out of Perth and into a truly Greek experience.